Little House Home Arts: Kiss 2014 Goodbye and Welcome 2015! It is time to review the past year before kissing it goodbye. Lots of goals can be crossed off the list, and yet my list doesn't seem to get any shorter! Despite another job change for my husband and him falling off a step ladder and fracturing his wrist bad enough to necessitate a surgical repair with screws and plates and still suffering from numbness in his fingers, we have survived another year!! 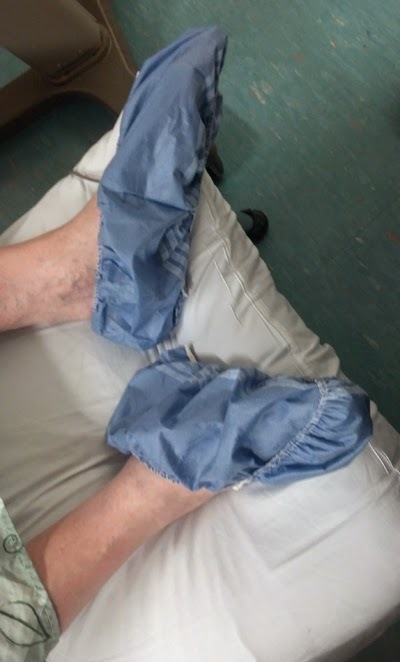 Surviving isn't an understatement as he didn't tolerate his pain medication which caused him to have apnea (periods without breathing). Being an old, and I do mean old in the most literal sense of the word, newborn intensive care nurse, I did what I used to do with those tiny preemies and would simply wake him up with a poke! Breathing is necessary to living and he eventually came back to this world. He is now working two jobs, neither ideal, but good enough to get him to full retirement age when he can receive social security benefits and continue working in order to recover from his lay-off two years ago that prematurely altered our retirement plans. I would love the saying, "I plan and God laughs", if it weren't so true! Glad to have my husband's surgery done and over with! Life isn't easy, and we have taken the hits and are still in the race! My sewing business has kept me busy and occupied my mind, keeping me focused on being productive more than on my seemingly everlasting and eternal treatment for chronic Lyme Disease, and that is good enough! I am now into year seven of the Marshall Protocol and hope that the worst is over now! My new Joy Cactus Pincushions! I designed two new pincushions this year thanks to special orders from customers that placed more faith in my creative abilities than I did. 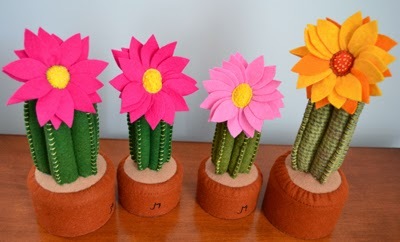 Thanks to Joy, I have a new cactus pincushion line and thanks to Emmett a new acorn pincushion line. 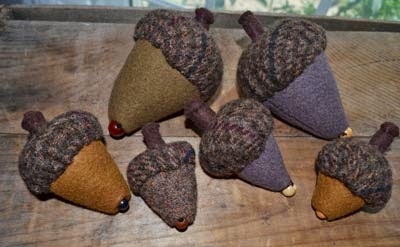 My new Emmett Acorn Pincushions! 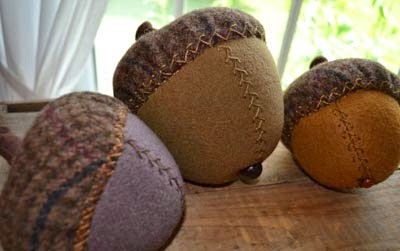 Smaller Emmett Acorn Pincushions using a different pattern! 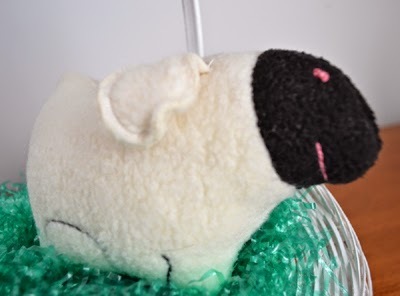 I also created some Easter toys that had caught my eye. These creations weren't high sellers, likely due to the price that I put on them. I value my time as well as my work, and I am learning some basic business knowledge. If it takes three times as long to make, I must charge more for them. My work has gone from the most simple to more complex wool sculptures and I am pleased with the outcome, even if it takes more time to create. 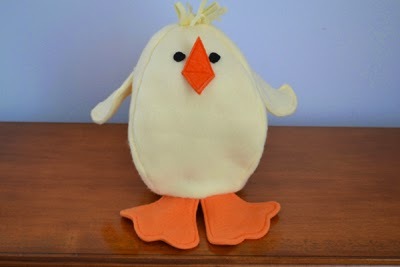 The inside- out chicken egg fleece puppet toy. 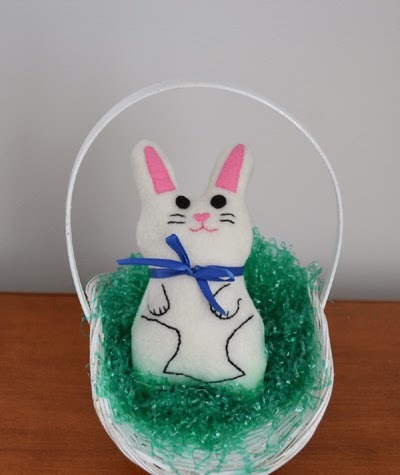 Watch Etsy Shope this Easter! 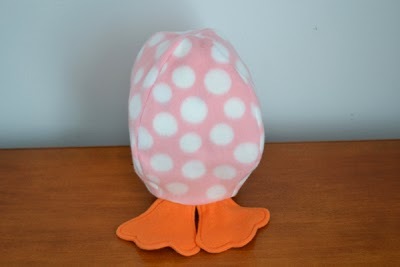 White and pink polka dot outer egg with chick inside! 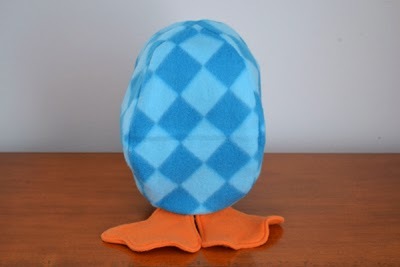 Light Blue and Turquoise diamond outer egg with chick inside! 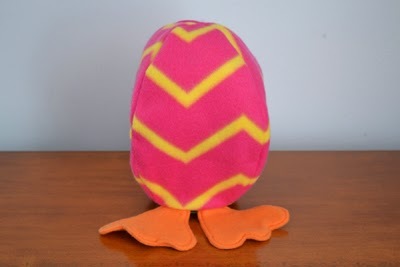 Bright pink and yellow striped out egg with chick inside! 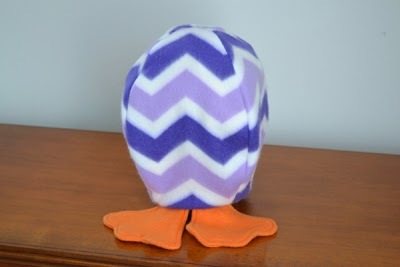 Purple, lavender and white zig zag striped outer egg with chick inside! 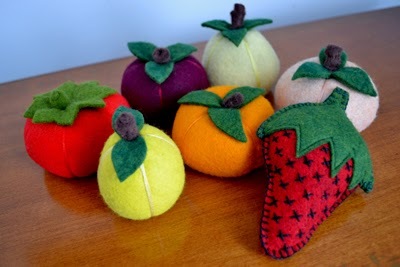 Felted wool fruit pincushions for the fruit pincushion give-away! Fun Entries! I made more of my simpler pincushions and priced them lower, and stitched and stuffed my fleece sock rack full, making about 400 pair of fleece socks that I hope to bring to my customers on-line when I figure out how to list them in a way that is less time consuming. They remain a hit. They are soft and warm, ever so practical when it is necessary to turn down the thermostat without freezing! 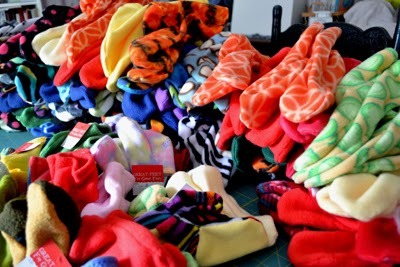 Fleece socks...snugly and a best selling item to be featured on- line soon! Sales did not meet my expectations, but it seems that sales were down for many of my artist friends this year. That is the nature of the art world. Sometimes it sells well and sometimes not. I have learned to live with that.The truth is that I create because it is what I am "called to do" right now. Creating is fun and brings satisfaction. It never was about making lots of money! It is the therapy that keeps me motivated to continue my difficult medical treatment which is too slow to watch and while it is two steps forward and sometimes three back, the overall gains in my health are accumulating and perhaps I will gain the virtue of "patience" in my journey as well. I have indeed grown braver about attempting bigger tasks like taking on my many unfinished quilts as well as other projects to complete. When I counted my unfinished creations, I was initially overwhelmed and then I decided that if I added more to my list, my initial list would seem less overwhelming and so that is what I have done! Life is about looking forward and I have spent some of 2014 looking to 2015! Quilt stencils have been purchased along with more materials and I am excited to do some quilting! Big projects, I figure, are just projects that take a few more steps to complete and like The Little Engine That Could my mantra for 2015 is "I think I can...I think I can..."
I hope I will encourage you, my readers to challenge yourselves in the year ahead and take on what most excites and challenges you, and that a year from now we will again look back and see all that we have accomplished in the midst of our bigger life challenges!! Happy 2015 to you all and don't forget to come back to my blog on Monday, January 5th to sign up to win January's Common-Thread free give-away. I am to be this month's featured artist and have one of this last years new line that I will be giving away. It is guaranteed to bring you health, wealth and luck in the new year!! P.S. I forgot about the Emmett McCarthy Front Door Painting Project and The Steve N. Garage Clean-up Project. We did get a lot done this last year!! 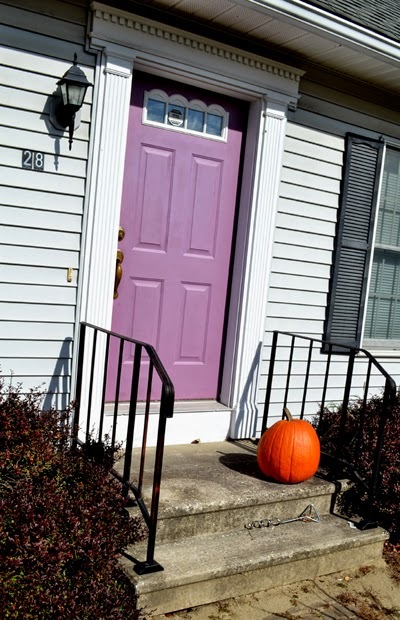 Lavender door project in honor of Emmett McCarthy's visit! 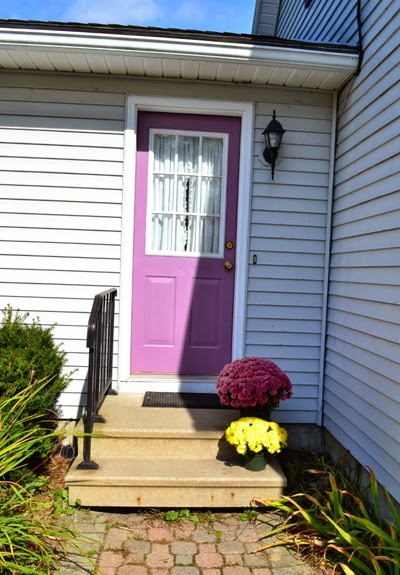 Side porch lavender door painted in honor of Emmett McCarthy's visit! 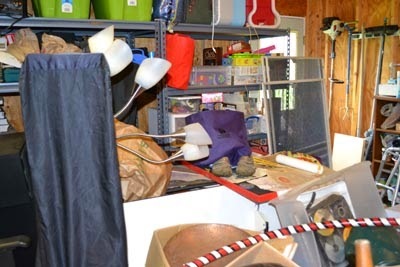 A BEFORE shot of part of the garage mess! 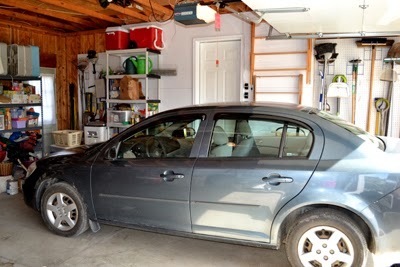 And an AFTER shot of the Steve N. Garage Clean-up Project with "new" car!